Firstly, if this was all actually happening the entire mass-media would have to clam up! Their only option would be to try & ride it out, giving their patrons, the true power-brokers all the time they need to rectify what truly would be a serious dilemma for them, for if the general public ever became aware of these indictments, the media would never be able to cover it up. So they simply have to keep schtum! Secondly, I’m not the kind of guy who likes to sensationalise. You can believe it or not but even if it meant I’d double or treble my readership, I would never court popularity. I have to either believe in what I’m writing or feel it has some genuine worth. Well, I can’t as yet put my hand on my heart & say I believe this is the case. I can, however, state this story holds water simply because I’ve had so many reports from different avenues of alternative media saying the same thing. Moreover, several have come from reputable outlets. There is one thing that really bothers me though. For the past few days my mind has been mulling over the notion of whether this story has been expertly put out for the purpose of distracting us from what is really occurring in Iran. I’m not quite sure what to think but what’s obvious is the Zionists know they have to utilise every trick in the book to do their number on Iran. However, it is also the case that if these indictments are genuine then it’s imperative we do what we can to spread the word. This is why I’m posting this interesting piece from my good friend Tim Iacono which he posted in his group Truth Journal on Jan 2nd. I cannot confirm the following information, however I will share the information with you all in case any of you might be able to confirm or deny whether it is TRUE or not. There have been no TWITTER posts made by the much despised George Soros for over 50 days via his official account, which has led many to believe all is not well in his world. Additionally many other significant individuals in the globalist cabal have failed to post themselves on TWITTER for unusually long periods of time. These include the alleged child abusers, the Podesta brothers and Hillary Clinton. If you have been keeping a watchful eye on the information being shared extensively online, that has originated from Q ANON, you will know that there is allegedly a worldwide initiative in progress to put an end to the illegal activities of a large number of individuals and groups deeply involved in human trafficing and child abuse. The names mentioned in the previous paragraph are said to be some of those who have been targeted. Could this be why they have failed to post onto TWITTER recently. 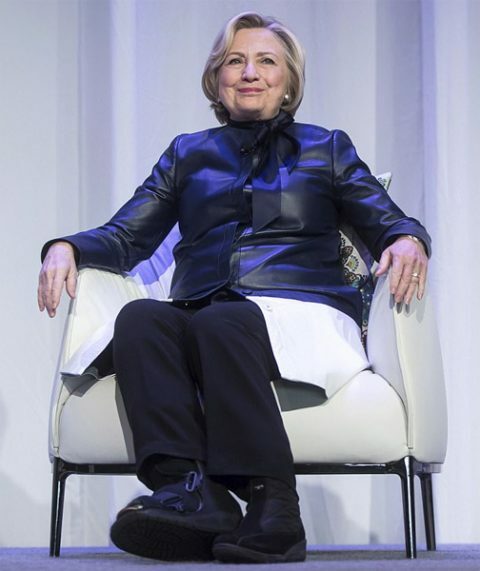 Another possible clue is that over 2 months ago Hillary Clinton began wearing a padded boot. Immediately a rumour began that stated it was a ‘tag’ which she was required to wear by the FBI to ensure she did not abscond from justice. The Clinton camp denied this accusation and advised those listening that she had broken a bone in her foot. If this was the case that boot would have been removed after 6 weeks maximum. When the boot remained over 8 weeks later, it was clear there was no broken bone. What else might it be? If it was another medical condition surely that’s what would have been said. Consequently, she has not been seen for the last week. Perhaps this is all hot air and everybody in our Truther community is just wishfully thinking. Then again, maybe there is some TRUTH in these rumours and SOMETHING BIG IS HAPPENING. What we do know id that about 2 weeks ago Trump issued executive orders that gave him the power to seize the assets of anybody suspected of involvement in crimes of the type discussed in this post, with even certain names being specifically mentioned as being WANTED by the USA authorities. I have even seen Obama being accused by numerous parties of being/having been deeply involved in these illegal activities, of being ‘wanted’ and I’ve even seen some sources suggesting he has been arrested and detained. I rarely post information that I do not feel is TRUTH or likely to be. This whole matter though is of such massive importance to every human being in this world that I feel I need to write this article and make our membership here at Truth Journal aware of the information I’ve uncovered and from there you can draw your own conclusions. Please share with us here if you are aware or become aware of any developments in any of the details here, or indeed anything you feel is connected with this information. Finally, Here’s a clip which I recently received. I apologise for misplacing the name of the sender though my latest FB ban hasn’t helped. The first 6 minutes is all one really needs to hear for it reiterates in no uncertain terms that these indictments have been served. If so…… BLOODY GOOD JOB! With so much synchronicity of small related events, this would have to be a flawlessly constructed red herring of amazing sophistication. My gut tells me otherwise. I’ve even dared to ask the question ‘What comes next?’ and the scenarios are not all good. Yes indeed FG. I haven’t been able to sleep thinking how I cannot remember a time where I’m receiving so many mixed signals. Right after I posted this Reverend Mark Dankof sent me a message saying he arrived home from San Antonio only to find a large poster outside his apartment – NEGLEY: TERRORIST HUNTER FOR CONGRESS. Dankof is an outspoken critic of Israel & the Zionists who control America. Though it’s unlikely this poster was targeted at him specifically, it nevertheless shows what a dirty game the power-brokers intend to play. The meaning of the word ‘terrorist’ has been stretched beyond recognition & it’s painfully obvious it’s for the sole purpose of attacking those who dare to speak the truth. We really do have to fight fire with fire. we cannot afford to show weakness. You’re absolutely right saying ‘what comes next?’ Even more so the fact some scenarios are positively nightmarish. This would all be great if it were true but then why all the theatrics at the UN. Why isn’t he shutting Nikki Haley up. Instead of backing her. It still all points to war mongering with Iran and North Korea. If there is a lot going on that is good behind the scenes it is well hidden. Plus George Soros and another Jewish English billionaire are busy buying massive amounts of land three times the size of Israel in Argentina. This is where they are sending IDF members on two week “holiday” sprees. I couldn’t agree more Linda. The only positive suggestion I have is that Trump is playing a massive double bluff for as long as he can. If any of the good stuff is true then he would need to appease the Zionist warmongers for as long as possible. Trouble is, i almost feel I’m clutching at straws saying this.I suppose it all boils down to whether Trump wants to go down in history as the greatest President ever or possibly the man who killed untold millions for the sake of the greatest murderers in history! I’m still convinced Trump does not know what is going on and that he is entirely insulated from everything we discuss because the information he receives is carefully controlled by Whitehouse staff and the likes of Jared Kushner. Anything not approved by them is described to him as “fake news” and crackpot conspiracy theory. Trump took over the Presidency from the position of a businessman, nothing could have prepared him for the world of deceit that is American and global politics. All Trump knows about any of that is what he is told by his advisors, which you can be sure is as little as possible and what he is told is probably about as far from the truth as you could get. Yes I share your concerns but I wouldn’t go as far to say Trump doesn’t know what’s going on. Sure, what you say is accurate but I’m pretty sure Trump knows he’s surrounded by vipers. I also believe Trump knows who he can trust. We should not confuse this situation with that of GW Bush. Now he was a complete buffoon. The only reason he made it to the White House is because he got all the help he needed. Trump, for starters, did not have the media & that’s huge in itself. I feel people are making the mistake of believing Trump is another fool like Bush. Never forget the media is doing all it can to make Trump look an idiot. I believe that Trump does know what is going on and is making wise decisions. I do think when he first entered office that he didn’t realize the depth of the corruption that is being exposed. Very interesting article which I believe pretty much confirms the Zionists are absolutely up to no good & in this case it’s something very big! Thanks so much Linda. The video regarding the indictments having been served is no longer available. 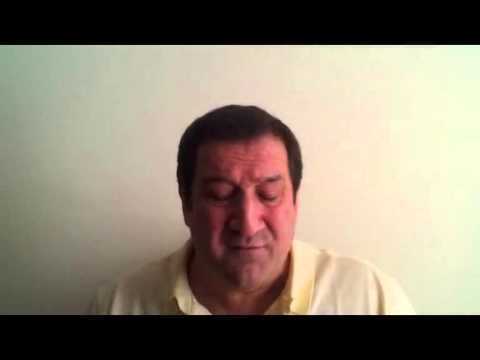 Apparently the YouTube account associated with this video has been terminated. Now THERE’S a surprise!